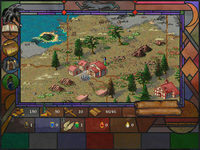 MicroProse Software developed the Windows XP fantasy strategy game Magic: The Gathering in 1997. 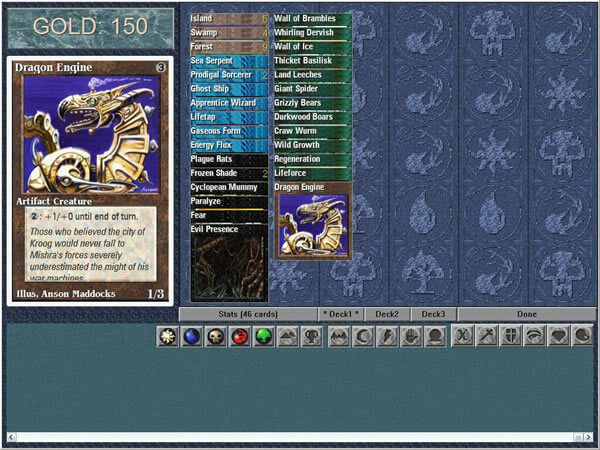 Magic: The Gathering is currently abandonware, runs on Windows XP and can be played in single player, multiplayer (Internet) modes. It's available for download. To run Magic: The Gathering, first run setup.bat and wait for it to finish, then double click on Magic.reg to add what's needed to the Windows registry. 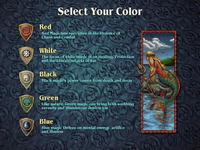 If you have trouble running or configuring the game, follow the instructions at shandalar.net. If the deck editor (DECK.EXE) doesn't work (it could crash after a couple of seconds), download the "Deck editor fix" and follow the instructions included in the README.txt. I'm having the same problem as a few of the others here. I've installed in just fine with no crashing, however, I don't have access to see any cards that are not currently in my deck. If I remove them, I can't see them. I have to add all of the color back into my deck to get it in there as painstaking as it is. 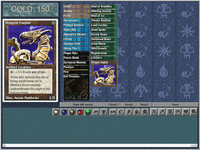 However, I can't add any colorless lands (Mishra's factory, Stripmines, etc.) into my deck this way. Any thoughts on how to fix this? I'm running Windows 10 and I've tried almost all the compatibility options. I used to play this game over and over again. I had a wonderful experience playing this as a kid and I even still have a pentium 286 & 686 to play this but the 686 was too fast and I couldn't even walk around during a Shandlar. The 286 would take forever for the computer to calculate. I cannot believe you fixed this game for me! I learned to play Magic on this game. I played it 5 hours this weekend and it only crashed a few times in the beginning. 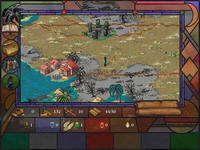 I was able to adjust the resolution and go directly into the Shandlar from the link to solve the crashing issues. I'm running windows 10 and I never thought this would be possible. I just have to say Thank you! Thank you! Thank you! Thank you! Also, There seems to be some text overlap when I go to buy some green summons. Maybe it's a resolution thing. I just started playing it again so I'll come back here and post again if any issues continue. Once again, I LOVE THIS GAME!!!! Thank you! Thank you! Thank you! Thank you! Thank you! Thank you! Hi All. 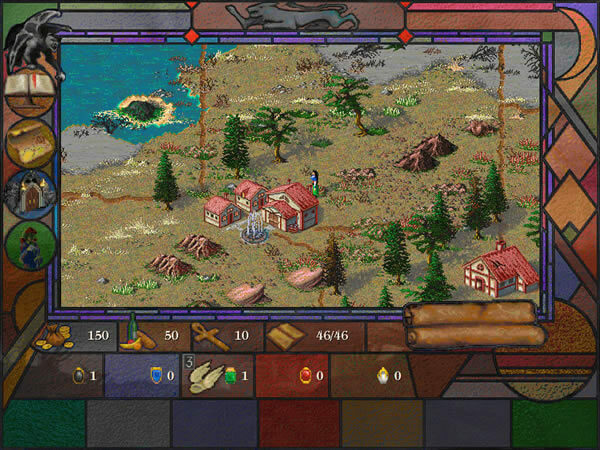 I finally found Shandalar again and was excited when my download and installation seemed successful (I'm not a computer person at all). 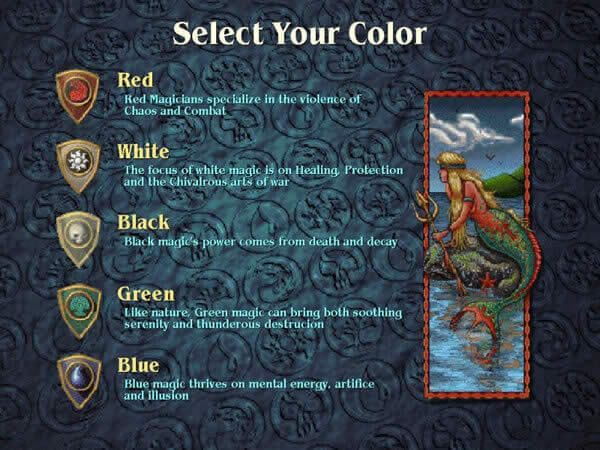 When starting up and selecting a new adventure, I get an error message, and then I cant enter a name or have a character picture, just a scramble of colors and pixels. After that the game works fine until about 2-3 mins into any given battle. 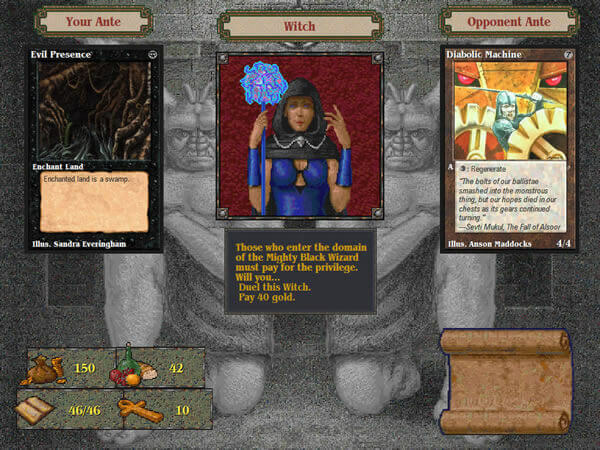 At this point (it seems to be triggered when either character takes damage) the game tries to load a small graphic of the player portrait but fails and shows another scramble of colors and pixels, then the game forces a shut down. it's frustrating because I followed all the dload and installation steps, and am at a loss. Please help! Hey guys, same problem as @Matt, the game will not show my collected cards for some reason. Downloaded the game from three different sites and all had the same problem. Did this ever get resolved? The link takes me to a forum that no longer exists. Could somebody help me? Once i downloaded the file, i ran the setup and the window said i am missing something in my program files with .ogg files. What do I do? I can't get the game to show my collected cards in the deck edit screen. When I try to run it on the recommended settings, the game crashes. Is there any way to run this on macOS, or should I just download some virtual machine or something to run it? I have Windows 10 and I used the deck fix to get the game to work, but I have one problem: The game doesn't show any cards from Legends, The Dark, Arabian nights etc.. Only the 4th edition as if it doesn't recognize the expansion sets. Anyone know a fix for this? Note: All sets showed properly on my laptop where I have Windows 7. • Checkmark the box for "Compatibility Mode"
• In the Settings section below that, checkmark the box for "Run in 640 x 480 screen resolution"
• In the Settings section below that, checkmark the box for "Disable display scaling on high DPI settings"
Got it going pretty easily on Win 10. 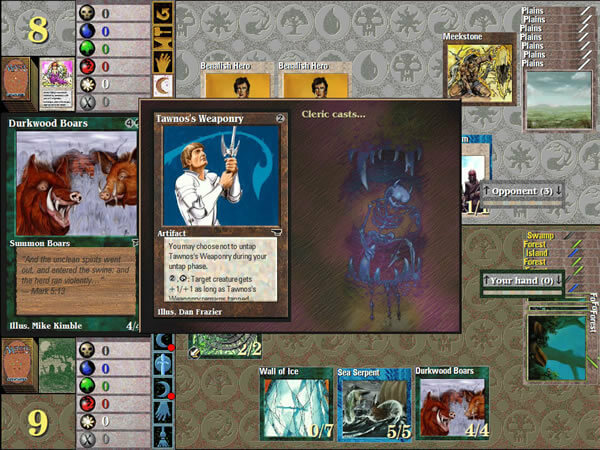 Ran setup.bat, double clicked magic.reg then hit shandalar.exe for the game. Had to use the deck edit fix too. Great blast from the past!" 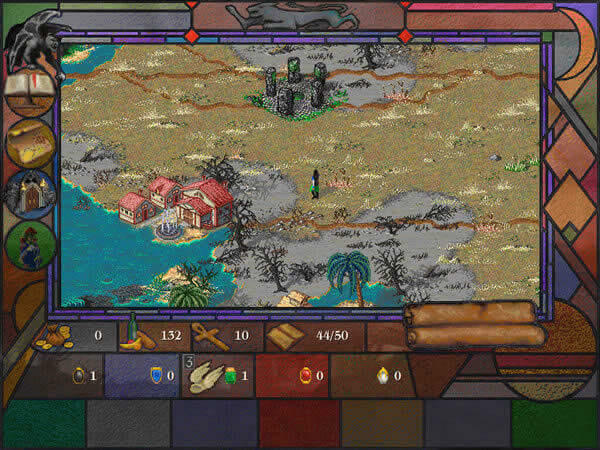 How did you it to work correctly I have tried and had my friend try who is in IT but I still cant see my collection in deck editor and I have made some sick decks that would be amazing if i could see and add the dual land and other great lands. Got it going pretty easily on Win 10. Ran setup.bat, double clicked magic.reg then hit shandalar.exe for the game. Had to use the deck edit fix too. Great blast from the past! For the application to work properly on Windows 10 - Right Click on 'Magic.exe' and go to its Properties. Change the Compatibility Mode to 'Windows 8'. 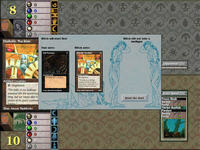 Tell others what you think about Magic: The Gathering: did you play it? Did you like it or hate it? If you have problems running Magic: The Gathering, please read the F.A.Q. first. Your e-mail will NEVER be used for spam. 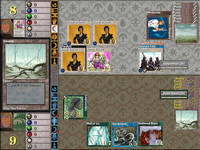 Two related products were released, the expansion pack Spells of the Ancients and Duels of the Planeswalkers. 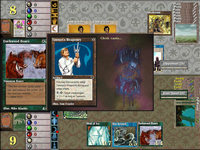 Duels of the Planeswalkers was an improved version of the main game that didn't require the original to be installed. 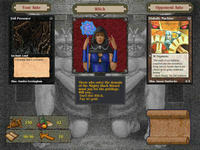 An oversized version of Aswan Jaguar was included in the game box.